How to travel to a homestead or unofficial placename in Saskatchewan or Western Canada. How to determine distances between contemporary placenames and ghost towns. Do you have an historic document or correspondence which has a placename that you have not heard of previously? The homestead or locality which does not appear on a modern map are an enigma to the traveller trying to find the ancestral home. The genealogical researcher may wish to locate a local history book, or cemetery to glean more information about their family tree, however where would one locate the Saskatchewan place name “End Lake” or “Roderickville” for instance? One very excellent resource is Geographical names in Canada | Natural Resources Canada Looking up a placename for any locale in Canada will produce the latitude and longitude along with a map, legal land description along with nearby placenames and the distance from the longitude / latitude supplied or the distance from the placename searched. Another is the Online Historical Map Digitization Project showing maps, atlases and gazetteers from 1862 to the mid 1950s, genealogists and historians can find a variety of maps are a valuable reference tool for information about places, place names and their locations. In Saskatchewan, take the initiative to also check the two Atlas of Saskatchewan books along with Bill Barry’s Geographic Names of Saskatchewan for placenames and their locations book ISBN1-897020-19-2. Saskatchewan local history directory : a locality guide to community and church histories in the Prairie History Room, Our Towns: Saskatchewan Communities from Abbey to Zenon Park By David McLennan and Saskatchewan Ghost Towns are other major resources to help you on your way with your preliminary research online. Search Saskatchewan Placenames amalgmates placenames from the National Archives resources, various books and atlases, and historical maps. An historical location may be defined by the legal land location. How easy is it to locate Roderickville located at section 20 township 15 range 10 West of the third meridian? Roderickville appears on Larry Walton’s Canadian National Railways Western Lines Map a part of the Online Historical Map Digitization Project and Roderickville also shows up in Geographic Names of Saskatchewan. It then becomes apparent that Roderickville is located just west and south of Swift Current near Rush Lake on the Canadian National Railway. Travelling to Roderickville, now becomes much easier with such bearings. Do you wish to discover how to travel to an unincorporated hamlet? Pay attention to the road signs as you travel along the country gravel road. There is a pattern to the township and range Roads in Saskatchewan as are assigned by the Saskatchewan Provincial Standard System of Rural Addressing. The other method to arrive at Roderickville section 20 township 15 range 10 West of the third meridian would be to use an online legal land converter which determines the latitude and longitude and the GPS bearing for any legal land location. Then plug this number into any GPS system. Ascertaining which localities are close to Roderickville and which Rural Municipality Roderickville is located within, also helps to know which cemeteries are nearby and which local history books are written for the area. Use any library catalogue and type in the rural municipality or larger municipality name. Genealogists may be interested in neighbouring cemeteries to locate an ancestor. In Saskatchewan, a number of the cemeteries are online by a variety of groups, as they are for many countries and provinces across Canada. The Saskatchewan Genealogy Society, for example lists cemeteries by rural municipality. According to Chapter 7 Settlement Evolution since the Late Nineteenth Century. Saskatchewan Geographic Perspectives by Hansgeorg Schlichtmann and M.L. Lewry, towns “were usually spaced 12 to 15 km apart along a railway line so that, in the age of horse-and-cart traffic, a farmer could make a round trip to town and back in one day. Along GTP lines (e.g. the Regina-Fort Qu’Appelle-Melville line) they were rather more closely spaced and, subsequently, more of them have declined or even disappeared more than towns on other trunk lines.”. Local Improvement Districts (LID’s) and, Statute Labour and Fire (SLF) Districts improve the local community, establishing cemeteries, honouring war dead, providing health care, roads, bridges. The horse and cart were greatly assisted by the work of the early precursors to the RM and to the Department of Highways and the ensuing Rural Municipality formation. LIDs and SLFs were replaced by Rural Municipalites (RM) following the Spencer Commission findings. Roads were straightened in the 1960s following World War II as more families had access to motorized transport with improved technologies from World War II. When the veterans returned home, society made further improvements. These improvements phased out the need for travel by horse, horse and cart, and ox and buggy. Gradually the extensive railway system saw branch lines closing due to the same phenomena. The one room school house gave way to the consolidated school in town. Families shifted away from the rural farm following the drought and depression in the 1930s seeking economic recovery in the urban centres. The consolidated school also attracted younger families to urban centres and away from living a rural existence. Good luck on your journey, and have a lot of fun discovering where once there was a thriving and active community of settlers, which may no longer exist. What can be found today? Does the foundation of a store, or a school district flag pole still remain? Here is another mystery; McMichael near Melfort on Larry Walton’s Canadian National Railways Western Lines Map. This placename of McMichael does not appear on contemporary maps, and is not discovered by Bill Barry in his book, so what is known of this placename that has disappeared? Are there any other placenames on historic maps which are not listed at Search Saskatchewan Placenames? Lost places collect placenames without a location, and the Search Saskatchewan Placenames seeks to update its listing with new additions as they are submitted. Have fun on your genealogical journey discovering what are the neighbouring communities of an ancestral ghost town. By locating a historic settlement it is easier to find resources such as local history books, libraries, museums, historical societies, cemeteries and perhaps a descendant still farming on the “Century Farm” to help discover further information for the family tree. If you are tracking down a historic placename in correspondence or a treasured historic letter, please bear in mind, that pioneers and settlers often referred to their placename where they lived as the name which may be indeed the one rom schoolhouse district as it was an integral part of the new community, and settlers gathered together at the school house for meetings, dances, rallies, the Christmas play etc. How do I locate my Ancestors Home Town in Saskatchewan? How did pioneers travel to their prairie homesteads? Maybe the Ghosts Will Live Again! Saskatchewan Ghost Towns… Do you have oral history about a Saskatchewan placename not on a current map? How do you find those communities which were once dotted around the prairie every six miles or so? All rights reserved. Copyright © Julia Adamson All my images and text are protected under international authors copyright laws and Canadian photography laws and may not be downloaded, reproduced, copied, transmitted or manipulated without my written explicit permission. They may be licensed through Getty images. .. Peace and love be with you. In this day of age with genealogical sites coming online, it is hard to determine which way to turn amidst the plethora of sites appearing from a search engine investigation. 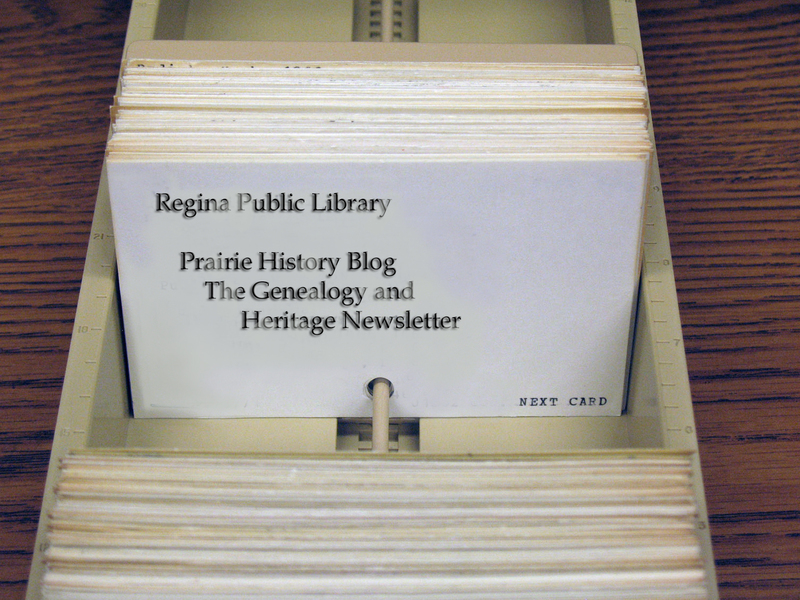 The Regina Public Library has come up with a wonderful solution with their Prairie History Blog The blog originated with the purpose of informing their visitors about the new items added to their collection; recommending some of the best online genealogy resources; and notifications of any upcoming genealogy and heritage-related workshops and events in the Regina community or around province. Not only does the Prairie History Blog provide updates about new magazines, and books available in the Prairie History Room, Regina Public Library, but they also have information about recommended websites, their updates and new features. Website with early postcards of Prairie towns is one of these articles. Enhancing the value of the New Magazines now available, the blog is replete with the article titles in each issue, in a milieu of magazines be it Folklore by the Saskatchewan History and Folklore Society, National Genealogical Society Quarterly, Alberta History, Families, Your Genealogy Today, Manitoba History, Internet Genealogy, Relatively Speaking, Revue Historique, or the Saskatchewan Genealogy Society Bulletin. An informative category is New Saskatchewan Records added to FamilySearch. The digitisation process of the Regina Public Library has made them keenly aware of their own growth and expansion and in this realization they have also been able to keep abreast of exciting new digital additions appearing on the internet. As the Regina Public Library system has subscribed to Ancestry Library Edition (ALE) and access is provided in each of their nine branches. The Prairie History Blog provides updates at regular intervals to newly digitised projects which have become available on ALE. Genealogy presentations are provided in house at the Regina Public Library, but for distance learning or in case you missed it, the many and varied slide shows and transcripts of their presentations are preserved online. A few of these presentations are entitled Revised and Updated Version of Best Genealogy Websites and Tools of 2014 , Tracing your Canadian World War I Ancestors, Best Genealogy Websites 2012 part 2, Researching Military Records. and Chinese footprints across Canada 2014 version. The Regina Public Library has made their blog a pleasure to use highlighting articles with images, and an easily accessible style providing excellent categories to find similar articles for further research and information. In their passion to provide digital information, they have started the Prairie History Room’s New Virtual Scrapbook on the Regina Public Library Flickr page which was launched with over 200 historical photographs. St. Andrew’s Thistle Football Club is represented with 22 photos, 18 images provide the scene of the historic Regina Tornado and the Nurses’ Training at Regina General Hospital feature amongst historical images of Regina, Regina library events and branches. 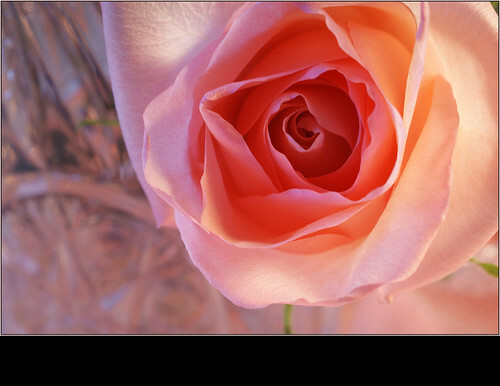 The Regina Public Library blog and Flickr page are also supported by the facebook page and Web Site. Embracing the new millennium, the Regina Public Library has established an informative and insightful virtual presence. Experience their social networking sites and venues the Regina Public Library offers a fantastic online presence. They provide information about new additions to the Prairie History Room Collection, allow genealogists to become aware of the better online genealogy resources available, and on top of this they provide genealogy workshops, and notifications of upcoming genealogical related events in Saskatchewan. It is not often that one finds a blog as useful and as informative as the Regina Public Library’s Prairie History Blog. The Blog shows us just how rich and vibrant the history of Saskatchewan is, and how much the pioneers of this prairie province are treasured in our genealogical research. This is an examination of the “Place of Habitation” on the Canadian 1921 Census in regards to the agricultural lands of the prairie provinces to better meet the needs of genealogists and other researchers who will make use of information and data from the Canadian 1921 census. It is erroneous to use the census enumeration district or sub-district name as a place of residence, as it would be incorrect to use the rural municipality name as an ancestor’s address. A rural municipality does not correspond to a city, town, village or hamlet. A rural municipality is a region which is governed by reeve and councilors in much the same way that a city’s infrastructure needs are determined by a mayor and aldermen. Rural Municipality is often abbreviated R.M. In the prairie provinces, an average sized rural municipality is approximately six townships in size, each township encompasses an area of six miles by six miles making a rural municipality eighteen miles by eighteen miles. A rural municipality has the closest correspondence to the usage of the term “county” in other countries. The seat of the rural municipality may be an office located in a town or city within the perimeter of the rural municipality, however the town or city is governed independently with its own mayor and town(city) council. A rural municipality formed to make local improvements to the area in the form of sidewalks, roads, bridges, fire protection, &c. Early homesteaders could help in these community projects in lieu of paying taxes under special arrangements. For a place of residence, early farming residents would provide the nearest Post Office to their homestead location as their address as is often seen on the World War I Canadian Expeditionary Force application files. As towns, villages and cities became established, post offices became established in these urban centers, and there was a departure from the rural postmaster operating a post office in their residence. In correspondence, a rural land owner may say they live in a certain “district”, which usually would refer to the school district in which their farm was located and where the family children attended the one room schoolhouse. When referring to the 1921 census it is important to distinguish between the terms used on the census enumeration form. The first few columns refer to column 1) number of dwelling in order of visitation by the census enumerator, column 2) number of family, household, or institution in order of visitation column 3) name of each person whose place of abode was in the household. The next set of columns refer to place of habitation. For rural dwellers with agricultural holdings, this location was usually referred to with the legal land description with columns allocating the section, township, range and meridian. The next column was entitled “Municipality”. For rural residents, this “Municipality” column holds the name of the “Rural Municipality”. For an example; referring to the original document District 217, Sub district 11 in the province of Saskatchewan Page 5 It cannot be said that the city, town nor village is named King George. Looking at the 1924 Rand McNally Map (or another historical map) for the area of the first entry on page 5 of the census mentioned above, a John Smith, who is the head of the household residing at section 13 township 26 range 12 west of the third meridian – Municipality King George. It is easily determined by using the township and range nomenclature that the cities, towns and villages which are near to township 26, range 12 west of the third meridian are the placenames of Mosten, Steeledale, and Wiseton which happens to be on the Canadian National Railway line. In this case, the municipality does indeed refer to the King George Rural Municipality Number 256. Unless it is a specific rural municipality map, rural municipality names are not mentioned on provincial highway or historic railway maps. If a larger area is shown for example on an atlas map, it usually refers to an electoral district, either provincial or federal depending on the atlas and its key. Placing the legal land location for the John Smith residence, section 13 township 26 range 12 west of the third meridian, into the Prairie locator one obtains the GPS conversion. The resulting GPS location, in this case, is 51.2198, -107.5509 which would locate the section which is an area of one mile by one mile. Now this GPS location is approximate for the actual farm land holdings, as some farmers did own an entire section of land, but pioneer homesteaders usually started out on a quarter section of land, which would be one half mile by one half mile in size, and usually referred to as either the south west, south east, north west or north east quarter of the section [see diagram]. There are on the internet a number of listings for the western land grants which were issued to prospective homesteaders to narrow down the quarter section of residence. Now then, incorporating these GPS coordinates into the Canadian Geographical Names Data Base (CGNDB) by coordinates (latitude/longitude) reveals that the following towns, villages and cities are within a twenty kilometer (12 mile) radius from the aforementioned GPS location. Anerley is a nearby Unincorporated area 23 kilometers – 14 miles away. Dinsmore is a nearby Village 14 kilometers – 9 miles away. Forgan is a nearby Unincorporated area 18 kilometers – 11 miles away. Glamis is a nearby Unincorporated area 27 kilometers – 17 miles away. Leach Siding is a nearby Unincorporated area 11 kilometers – 7 miles away. Steeledale is a nearby Unincorporated area 5 kilometers – 3 miles away. Wiseton is a nearby Village 12 kilometers – 8 miles away. Using the CGNDB one can easily click on any of the above placenames to determine their exact location as well. So if one wanted to know the location of Wiseton, CGNDB provides the facts that Wiseton locates at section 17- township 27- range 12-West of the 3rd meridian at Latitude – Longitude : 51º 18′ 41” N, 107º 39′ 1” W and Latitude – Longitude (decimal) : 51.3113471, -107.6503142. Any location can be searched by place name or the name of the geographical feature as well. Another source of locations would be the book, Geographic Names of Saskatchewan, written by Bill Barry, or the Library and Archives Canada Post offices listing which is online. The Post Offices and Postmasters Library and Archives Canada location result for Mosten – the closest placename to the John Smith 1921 census “place of habitation” is Section 6, township 27, range 11 west of the third meridian. The postal listing also lets us know that Mosten operated a post office between 1908 and 1941 under W.J. Stewart and Mrs. Eva Stewart (postmasters). Studying the Search Saskatchewan Placenames will provide which Saskatchewan Gen Web area would be most likely to further genealogical or historical exploration on query boards, and mailing lists. The Search Saskatchewan Placenames listing provides over 3,000 Saskatchewan places some of which are no longer in existence. Contemporary Saskatchewan listings provide a very short amount of placenames in comparison to Search Saskatchewan Placenames as can be seen at the Saskatchewan City & Town Maps – Directory or the Saskatchewan Municipal Directory System . Many previous bustling centers which were villages or towns in the early twentieth century have now become unincorporated areas, ghost towns or hamlets. When transportation was mainly done by walking or horse and buggy, settlements with stores, elevators and other amenities were located much closer together. It was quite common that homesteaders would walk from their farm into town for meetings or grocery supplies, and walk the distance of seventeen miles (27 kilometers) back home again. When the population relied upon automotive transport after the second World War, and highways were straightened and paved, the main urban centres grew exponentially, and the smaller towns, villages and rural areas began to see a shift of their population to the cities. residing at 626 Second Street in the town of Estevan. (Estevan incorporated as a city in 1957 after the 1921 census). Besides towns and villages which have disappeared since the early 1900s as mentioned earlier, rural municipality names and boundaries have also changed. The listing which follows provides a few of the name changes and mergers which have occurred historically in the province of Saskatchewan. The listing is not complete, as new updates regarding regional mergers and amalgamations come to light, they will be added. The North Star R.M. # 531 was actually in the St. Walburg area not Prince Albert. In the St. Walburg history book it says the R.M. 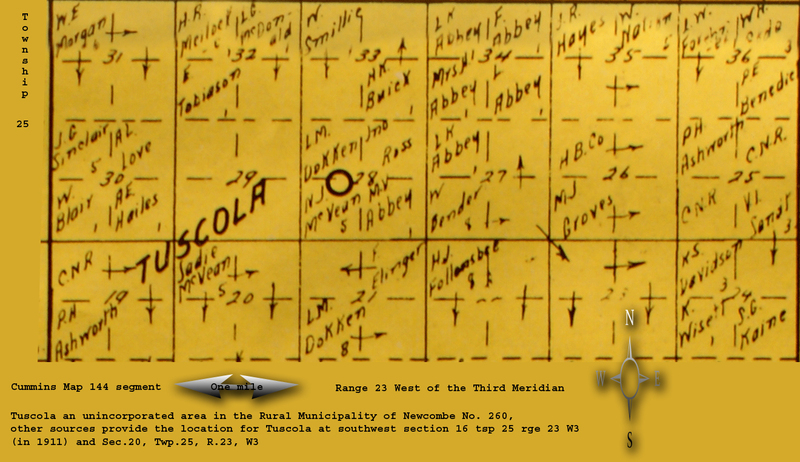 of North Star # 531 was formed in 1914 at a meeting held in the home of A. Obert. The first Reeve was W. Rice, Counsellors were W. Chalmers, I. Trainor, A.N. Schneider, H. Bullen, J.B. Fuchs and Fred Burns. In 1953 North Star R.M. # 531 and R.M. of Paradise Hill # 501 were joined together and are now called the R.M. of Frenchman Butte. In summary, the census do provide the place of habitation for ancestral research, corresponding with ancestral name and date. Realising the place of habitation correctly eliminates discrepancies and errors in future research. For example recording an ancestral address as “Kindersley” from the “Municipality” column, the researcher needs to take due care and diligence to determine whether it is meant the rural municipality of Kindersley No. 290 which has the communities of Brock, Flaxcombe, Kindersley and Netherhill within its perimeter, or if it is the town of Kindersley. The difference between allocating the address to the town of Kindersley or the rural municipality of Kindersley No. 290, for example, may mean the difference in locating or becoming lost in the search for the cemetery records or exploring a family biography or running into a brick wall when trying to delve into a local history / family biography book. As an example, Delbert Acker has a place of habitation on fourth avenue in the town of Kindersley on page 14 Census enumeration district name Kindersley District Number: 217 Sub-District Number: 65 City, Town or Village: Town of Kindersley. Whereas on page 10 of Census District Name: Kindersley District Number: 217 Sub-District Number: 38 City, Town or Village: RM Kindersley records Angus Fletcher, a farmer, on section 6 township 30 range 22 west of the third meridian, municipality “Kin”. The placenames closest to 6 tsp 30 rge 22 W3 are Beadle, Viewfair, Kindersley and Netherhill. Online are a few listings of current rural municipality names in use now on wikipedia, Saskatchewan Genealogy Society cemetery index, the Saskatchewan Government’s Municipal Directory System or the Canada Gen Web’s Cemetery project listing. From these it can be seen that in all liklihood, the municipality listed as “Kin” above was an enumerator’s abbreviation for Kindersley when recording (in the case of these agricultural lands with sections, township and ranges, that the abbreviation “Kin” means the Rural Municipality of Kindersley No. 290. The abbreviation for “Kin” meaning the Rural Municipality of Kindersley No. 290 can also be confirmed by scrolling to the very top of the page to see that the enumeration sub-district No. 217 is located in R.M. Kindersley. The overlap of placenames between census district name, placename [city, town, village or hamlet], and rural municipality may indeed be the same name, however each describes a totally different region. A census district name is allocated by the Department of Statistics, Government of Canada. The rural municipality is a rural civic administration district in the agricultural region of the prairie provinces, usually eighteen miles by eighteen miles in area with independently governed cities, towns, villages and hamlets within its perimeter. Please record the “Place of Habitation” information correctly in your genealogical or historical research so that yourself and others can follow the data flow, continue in their research endeavours with fewer brick walls, and many more successes. Saskatchewan in 1921 and the 1921 Census. ~ The Forgotten Depression. Pioneer Ways and Bygone Days in the West Eagle Hills. Prongua, Battle River, Lindequist, Drummond Creek, Cleveland. Prongua, Battle River and Lindequist History Book Committee. Turner-Warwick Publications Inc. North Battleford, SK. 1983. Reflections of the Past. History of Parkside and the Districts of Bygland, Cameo, Hilldrop, Honeywood, Ordale and Spruce Glen. page 260. Compiled and published by Parkside and District History Book Committee. c1991. Many of the sources for this article are embedded in the text. Some of the sources came from email correspondences with the current Rural Municipalities as indicated. The purpose of the information on this site is to assist genealogists, historians and other interested parties in locating information from various cemetery records. Please e-mail saskgenweb@yahoo.com if you have any further updates or additions. Thank you. Adamson, Julia. 1921 Canada Census: Place of Habitation . Saskatchewan Gen Web. Rootsweb. Ancestry.com . Retrieved . Please E-mail saskgenweb@yahoo.com if you know of other historic rural municipality names which are no longer in existence. Thank you. Cemeteries do indeed, silently document the past local histories and biographies. As William Dollarhide, notes, genealogists do make ancestral discoveries at cemeteries, and are not “obsessed with death, burials, or other ghoulish activities.” It is from the cemetery records or tombstone inscriptions that an ancestor can be located with certainty, unless there are no records, no tombstone erected or if the cemetery is unkempt. In Saskatchewan, it is invaluable to learn legal land nomenclature, the township, range and meridian survey system, to augment Global Positioning Systems (GPS), and view historical placenames in the vicinity of the cemetery. 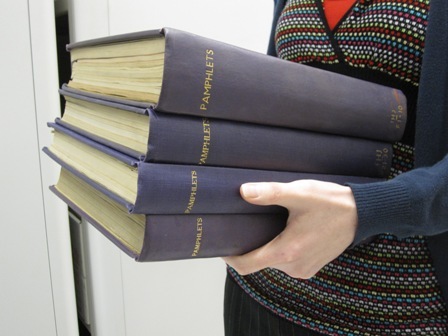 These placenames lead to compiled family histories published mainly for the 75th anniversary of the province (1980), however some books went to print in 1955 (50th provincial birthday) and others in 2005 (the 100th anniversary). These local history, family biography books contain a variety of records, cemetery history and occasionally the cemetery transcription as well. The imperative of keeping proper citations, digital records, differentiating between primary source and secondary source records is noted the book Evidence! Citation & Analysis for the Family Historian written by Elizabeth Shown Mills for genealogists. Typically there are family cemeteries, church owned, private, national, city, town and municipal cemeteries. Cemeteries may have undefined property boundaries, no signage or access roadways creating difficulty when locating graveyards. The dates of cemeteries can be reflected by the types of monuments demarking the grave sites. Tombstone markers have evolved from wooden markers, stone mounds or circles, sandstone slabs, marble stone work, granite tombstones and the contemporary polished granite and marble. Additionally, in a cemetery, there may be headstone, footstone, ground tablet, basal table grave, ruin, cross, pedestal obelisk, pedestal column, Funeral home plaque, or bedstead set in an urban, country, family, private, isolated or rural setting. Mausoleum architecture, be it Romanesque, Gothic Revial, or Art Deco, they, too, reflect time periods in history, social values and chronological trends. From the inscriptions, the names and dates are vital to the genealogist assembling a family tree. Additionally, symbols, backgrounds, art, Religious iconography, accomplishments, commemorative items, epitaphs, carvings, and sentiments are recorded by those remembering their dearly departed. These symbols may indicate a social identity such as membership in organizations giving way to additional information and further genealogical research. Family burial plots show groupings or symbols indicated they are related in some way. According to Robert Redfield, “acculturation” is the “phenomena which result when groups of individuals having different cultures come into continuous first-hand contact with subsequent changes in the original cultural patterns of either or both groups.” The adaptions of ethnic bloc settlements is evident in their burial customs, cemetery tombstone styles and the language chosen for the tombstone inscriptions. Young pupils do not have to wait till University, they can be exposed to archaeological studies by visiting a cemetery and studying the culture of the community and the changes it its culture. Cemeteries tell the story of the deceased, those who mourned them, their views of death, and the society in which they lived. Trends and customs in burial customs of ethnic, cultural and spiritual communities demark cemetery sections or complete graveyard styles of internment and tombstone design. Such was the case for Verna Elinor Gallén who detailed “variations in the expressions of social identity provided by the different Saskatchewan Finnish cemeteries” in Silence We Remember: The Historical Archaeology of Finnish Cemeteries in Saskatchewan. Noting the details of both tombstone and grave yard tells a story of communities in Saskatchewan, their growth and development, in times of sickness, war, and health. Michigan historic cemeteries preservation guide by Gregg King, Susan Kosky, Kathleen Glynn, Gladys Saborio, Michigan Historical Center. Links to sources are embedded in text above. 1936 Memorandum for the Study of Acculturation. American Anthropologist 38(1):149- 152. The Heritage Property Act oversees the burials not found in a registered cemetery. On discovery of an historical burial site, the Minister is contacted as well as the appropriate agency, church or church historical documents, Indian band, First Nation or Euro-Canadian descendants before any archaeological excavations would be considered. To confirm land ownership, information can be obtained from the Provincial land registry through Information Services Corporation (ISC). The “Central Burial Site” along the South Saskatchewan River has been established for respectful internment of ancient First Nations burials where appropriate and under consultation with appropriate interest groups to determine final re-burial. Here rest over 200 interments. “This is considered a very sacred burial ground to First Nations,” says Carlos Germann director of Saskatchewan’s heritage conservation branch, “unique in that it accommodates all different tribal affiliations.” If the burial site is not threatened or in jeopardy, the site is recorded, and restored. In the case of a discovered homestead burial, similar legal decisions are made regarding the burial site preservation or removal and relocation to a local cemetery. In Saskatchewan, if the soil is disturbed, a permit is required in Saskatchewan. Approximately five to fifteen archaeological burial sites are found each year. B.T. Schreiner. In this pre-historic site, 304 interments were found here dating back 3,000 to 5,000 years. The Gray Cemetery, a National Historic Site, is part of the Oxbow Culture, a part of the Middle Precontact Period..
Archaeological study reveals vital cultural, architectural, spiritual and societal histories. The forgotten cemetery of the St. Vital Parish (1879-1885) located on the Battle River near Telegraph Flat, North West Territories was established in 1877. Telegraph Flat was later named Battleford. Following the 1885 North West Rebellion, the Roman Catholic Mission of St. Vital chose the North West Mounted Police (NWMP) Cemetery near Fort Battleford and later, the Town of Battleford Cemetery This meant that the original cemetery abandoned, and the location forgotten till its discovery in 1999. A meticulous archaeological survey uncovered mortuary practices, spiritual and cultural customs, health and disease, artifacts, and rituals providing an in-depth documentary of the early history of the Oblate priests, the community and the 19th century Battleford area. The names of those interred was derived from parish registers, national, provincial and municipal archive records, Battleford’s North West Historical Society and newspaper accounts. The extensive archaeological research was compared to the records held by the Parish register. Similar archaeological investigation was applied at the Industrial School Cemetery at Battleford, and the two sites studies were compared. A reburial cemetery was held in 2002, and commemorative marker erected in 2003. Near Canora, Saskatchewan, the Doukhobor Cemetery of Besednoye village was excavated and studied in detail by archaeological investigation. Seventeen interments were found here, and according to Jon Kalmakoff, eight of these have been identified. The third archaeological cemetery studied in Saskatchewan was the Nisbet Presbyterian Cemetery discovered in 2004. Between 1866 and 1874 twenty-one interments took place at the Nisbet Mission cemetery. “The examination of cemeteries proffers valuable, multi-faceted information pertaining to the past,” writes Lisa Marie Rudolph in, An Osteological and Historical Examination of the Presbyterian Forest Centre Cemetery Prince Albert, Saskatchewan, “the comprehensive nature of burial and cemetery projects necessitate the involvement of local interest groups and specialists for the study to be successfully completed in a considerate manner.” A re-burial ceremony was held the following year at the South Hill Cemetery in Prince Albert. Communities benefit from historical areas of historic and aesthetic value which bear “a unique or exceptional testimony to a cultural tradition or to a civilization which is living or which has disappeared” and can be protected under the Heritage Property Act. The Heritage Conservation Branch of the Saskatchewan Ministry of Tourism, Parks, Culture and Sport (TPCS) has published the Guide to Preparing a Provincial Heritage Property Nomination. As such, “Heritage property is broadly defined as any property that is of interest for its architectural, historical, cultural, environmental, archaeological, palaeontological, aesthetic or scientific value and includes archaeological and palaeontological objects.” Under such designation and protection an historic cemetery would be listed in the provincial Heritage Conservation Branch’s Saskatchewan Register of Heritage Property and the Canadian Register of Historic Places.